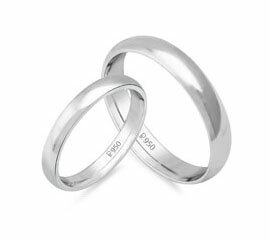 Celebrate new beginnings platinum wedding bands - As rare and everlasting as your love. 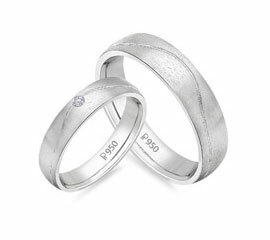 Rarest of precious metals, platinum – a unique testament of your mutual love & respect for each other. Wedding certainly is the most special event and therefore holds a very special place in everyone’s heart. As one of the essential occasions of life, this event brings with it companionship and affection that are supposed to stay together for life. 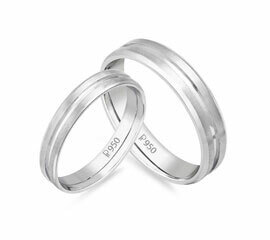 Platinum Wedding Bands from Malabar Gold & Diamonds, offers the best reasons to celebrate the amity this event bestows on couples. 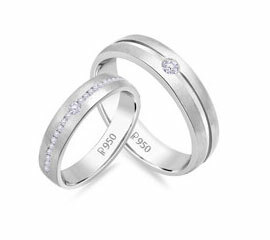 Platinum is a symbol of versatility and seems to be a perfect complement to the new beginnings ahead. 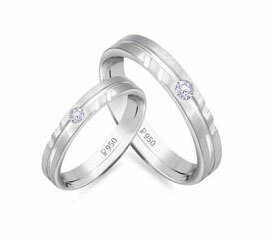 Platinum Couple Rings - The Special Way of Saying YES! The engagement marks the beginning of your wedding journey hence needs to be celebrated with the zeal that reflects your emotions. The Everafter Platinum rings collection from Malabar Gold & Diamonds rightly does that for you. The jewellery adorned by the couple on engagement is the prime centre of concern for everybody, so this makes it very eminent that the rings exchanged during the ceremony match the stature of expectations. 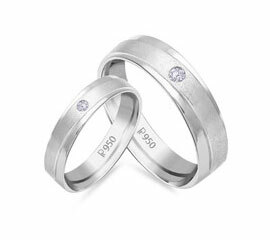 The Platinum couple rings designed by us blissfully matches the expectations of both onlookers and adorners. Since for you too, it is a new start, why compromise on just anything! Buying couple rings online from Malabar Gold & Diamonds gives you reasons to celebrate your new found bond of affection and togetherness. Every jewellery lover loves adorning rings, and when it comes to adorning a couple ring, the eminence increases multifold. As one of the most adorned ornaments, wearing rings is not limited to any occasion. Rather these are more of a daily wear that flawlessly enhances the style regime of the adorner. Couple rings in Platinum are subtle yet sophisticated and can be donned anytime anywhere. 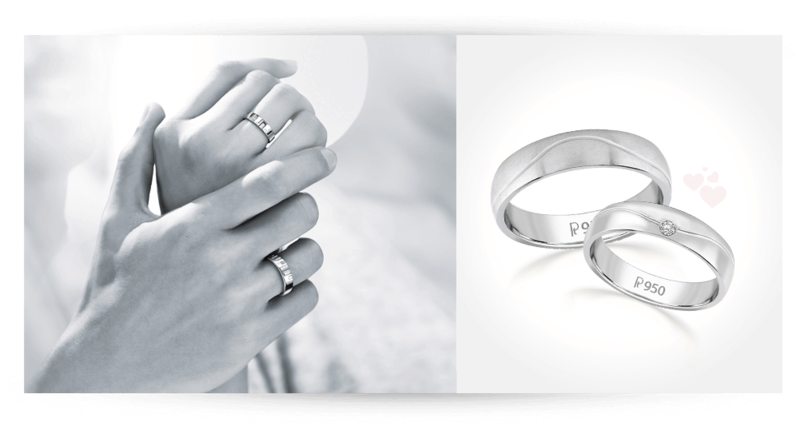 The elegant designs of rings from the Mine Platinum ring collection make them flawless embellishments for every day letting you feel the love of your spouse every single moment. 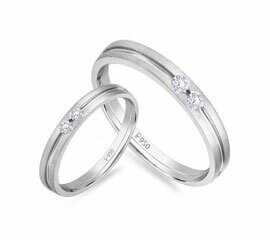 These exquisite rings entwined on fingers, certainly bring a glint of affection in your eyes. Buying jewellery online makes the task effortless and fast. 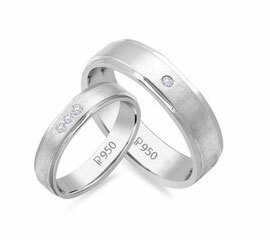 As a perfect match for your dynamic persona and the blessed relationship ahead buying Platinum Couple Rings online is an enticing and effortless investment for a hearty relationship. The captivating Mine Platinum ring collection crafted at Malabar Gold & Diamonds perfectly spruces up your radiance on “The day”. The lavish designs available online let choose the best designs from the comforts of your home.